What it does: It turns up the vamp and seals it with a kiss. 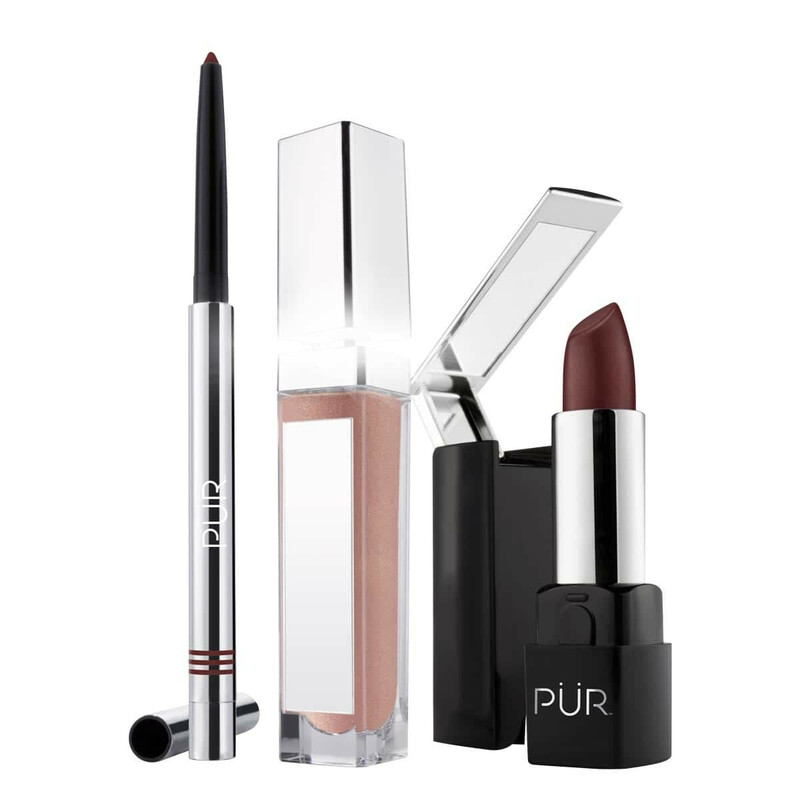 Perfect your pout with these multitasking must-haves that allow you to update your look anywhere. The berry collection gives you versatility with a matte lip or a glossy shimmery look. It’s the perfect combination for a backseat makeover. Apply Bitten Gloss only to the center of the lips to create the illusion of fuller lips. Love this set! The lipgloss goes on so smooth and the lip color is perfect with my outfits that have burgundy color. I love this set!! I love PUR!! I own a lot of their items and so far have not been let down!! I love this set. It is so hard to find a true Blackberry lipstick without being too red. This has a nice amount of blue without being too purple. Perfect if you love a deep berry pout! This is is a really cute set. I love the color and the added mirror and light and a nice bonus! I am really happy that I decided to order this! This is a fabulous deal for the price! The shade ended up being too dark for me but the actual product is fabulous! PUR never disapoints me with the product(s) they produce! These beauties have figured it out right down to the customer support they offer! I like that it can as a set. Wonderful coverage. Lip gloss was wonderful. The light and mirror are a plus. Nice addition. I love the color!! The lip liner goes on smoothly and precisely and the lipstick is very creamy. The gloss to top it off leaves a beautiful finish. Definitely recommend! One of the best colors .The liner is long lasting , the lipstick is rich and has a nice flavor . There is a small mirror in the lid of the lipstick that’s convenient for touch ups. The lip gloss has a small light in the wand / lid , that illuminates when you open the gloss .... such a cool feature ! Love this . This color is mire of a wine then a very. Guess on very dark initially but lightens as the day goes on. Very beautiful set! I was afraid of the color at first, but when it arrived I fell in love. Great fall/winter color. This set takes the guess work out of having to coordinate. The only flaw it has is the light on the gloss kinda blinds you while you're trying to apply. Love these colors. I can wear all three together or just the lipstick or the lipgloss and liner together. They are the perfect addition to my make up. Can not wait to wear it with the new school year. This was not exactly what I was expecting. I love the lip liner, it goes on smoothly and is a beautiful berry color. However the lipstick, when applied, looks more like an oxblood color than a berry color. It is Very pretty if you like it that dark. When I put the lip gloss on the berry color started to separate some and then looked patchy. They are all.great products but I use the lip gloss separately now. I'm also still trying to get used to the deep berry color. It seems to work good with another lipstick on top to lighten it. I'm still playing with them to see how I like it best. I LOVE THE mirrors on both the lipstick and lip gloss. The light on the lip gloss is cool. It gives off a little bit of a blue hue but I still like it. It can work.as a flashlight when in a squeeze...lol. At first it looks really dark, but three hours later it still looks fresh and I love the colour. And the light thingy in the lip gloss! Genius! Love the color and stays on all day! The liner is amazing and the lipstick packaging is functional and super cute. I’m glad I didn’t give up on PUR! 💕 this company! I love getting the liner, lipstick and gloss all together without having to pick them out separately. I love that the lipstick has a mirror that folds open from the top, that the gloss has a lift that shines onto your lips from the underside of the handle and a mirror on the side of the container, and I love the complimenting light kind of rose champagne gloss that takes the absolutely beautiful deep berry lipstick to another beautiful level. The liner is a darker shade than the lipstick but just barely and it’s perfect. The lipstick is hydrating and buildable. I absolutely love this set and if there is another that I see in my kind of color then I am definitely buying it. Plus, for the quality ingredients you get that make you feel good wearing it, the price can’t be beat. 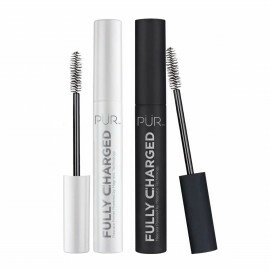 I used to not care for PUR but they have consistently grown and have only gotten better, to the point that now they are one of my favorites for both makeup and skincare. Huge change from when I received my first PUr product in a mystery bag. Huge! I’m about to place another order today and can’t wait for my products! I highly recommend this lip kit! Such a great kit that has everything you need for gorgeous lips!